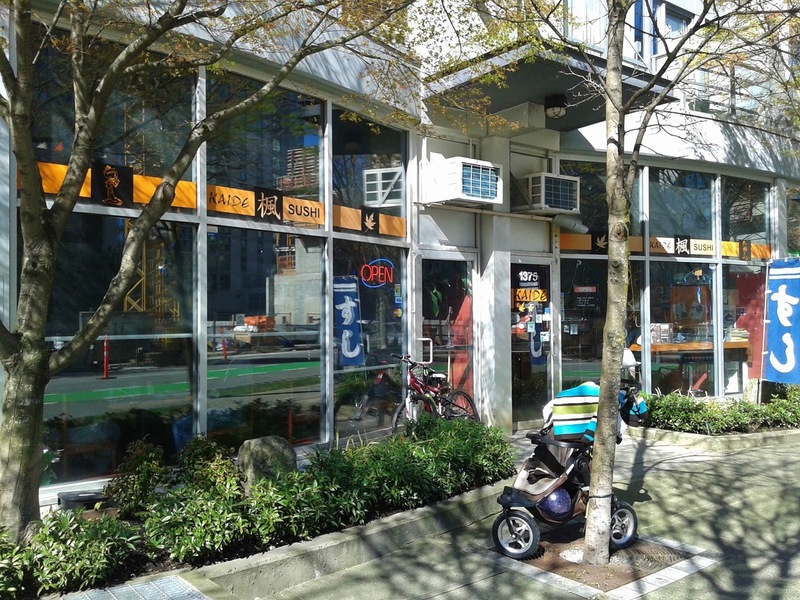 In addition to some of the most expensive sushi restaurants in Vancouver, Yaletown also offers a few comparatively affordable options for sushi, such as FRESH Japanese Restaurant. I went into Kaide Sushi Bar thinking that it would be one of the more affordable options, but it didn't take me long to realize that this was not the case. The restaurant was also not as small as I had expected, and outside the restaurant was a gorgeous, stunning view of a construction scene. First to arrive on my table was the Kaide Assorted Sushi, which was beautifully presented and featured nine pieces of fancy nigiri. What else could I ask for? Kaide Sushi Bar only servers sockeye salmon, and the Sockeye Salmon Roll had an appealing soft texture. The Tekka Roll (tuna) came with a good amount of soft, melty tuna. Freshness was apparent in both types of hosomaki, though there wasn't anything mind-blowing in terms of structure or richness of flavour here. Lucky for me, the nigiri was a hit. 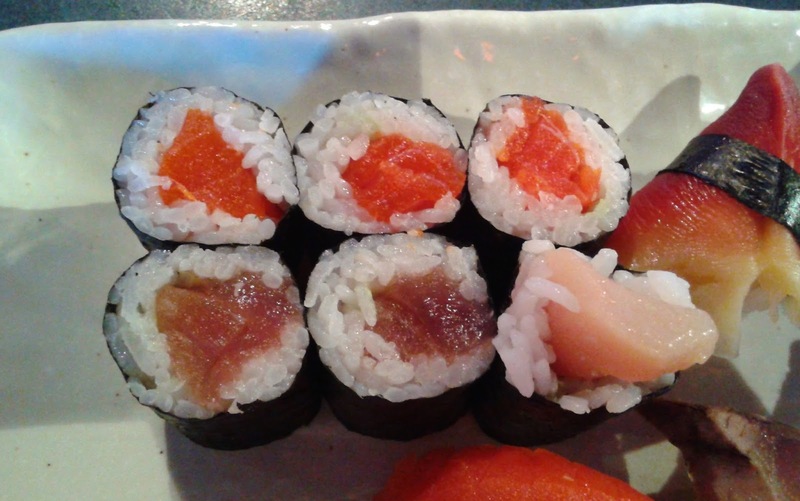 The sushi rice was especially well-prepared and well-seasoned and tasted good by itself. The Hokkigai Nigiri was rather small, but it had a pleasant sweet flavour and an appealing chewiness. The Uni Nigiri was fresh and really melty with a mild, sea-like, savoury flavour. The Chopped Scallop Nigiri featured creamy, sweet scallop, and the conservative amount of sushi rice allowed the nigiri to be easily consumed in one bite (the way it should be). The highlight of the combo was the Unagi Nigiri, which had an irresistible, well-rounded grilled flavour. Yes, this was the best Unagi Nigiri that I have ever eaten. As a bonus, I was also given two pieces of tamago, which were sufficiently sweet with a soft, puffy texture. Could it really be? Multiple A+'s in one meal? With the heavenly Toro Nigiri, the answer was a definite yes. The toro looked good and tasted good. It had a marvelous melty texture and was so fatty and juicy that it literally took me to fish heaven. Okay, that sounded a little wrong. Next, the Sockeye Salmon Nigiri came with a generous cut and was soft, but not especially rich. The Katsuo Nigiri (skipjack tuna) had a very distinct flavour that mildly resembled saba. Apart from the green onion on top, I could also taste a slight green onion essence within the fish itself. 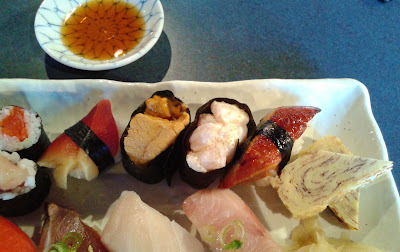 The Butterfish Nigiri was melty, soft, and buttery with a texture akin to high-quality albacore tuna. 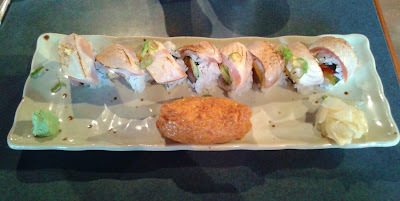 Finally, the Hamachi Nigiri was rich and fatty and even came with its own dipping sauce! The sauce was soy-based but had a bit of a vinegary accent to it, which went quite well with the sushi rice. Obviously, I couldn't leave without trying a special roll, so I went for the Tofino Roll, which was named after a small city that I have never been to. The Tofino Roll featured spicy tuna, takuan (pickled daikon), and seared tuna. The tuna on top had a wonderful seared flavour, and the clever use of unseared tuna inside the roll allowed them to sear the tuna on top a bit more for a richer flavour while preserving the juicier texture of tuna sashimi within the roll. The avocado did not disappoint, and the very mild and gentle spiciness emanating from the spicy tuna did not overwhelm any of the ingredients. The Special Inari came with just one piece and consisted of smoked salmon, ebi, and avocado in a sweet tofu pocket. The smoked salmon was wrapped around the rice to create a richer well-balanced flavour. The inari came with ample moisture and sweetness, and some green onions were added for some extra zing. 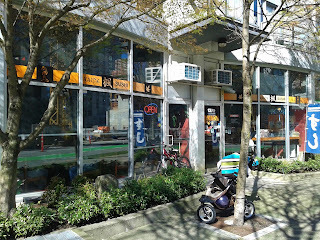 It has been quite a while since I have had this many good things to say about a sushi restaurant. Kaide Sushi Bar clearly excels in service, freshness, and execution. Yes, it was quite expensive, and after tax and tips, I ended up paying a total of $50. 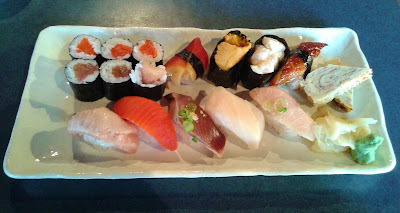 I have never ever spent $50 on lunch before, but the quality of the food made this a very worthwhile sushi adventure.